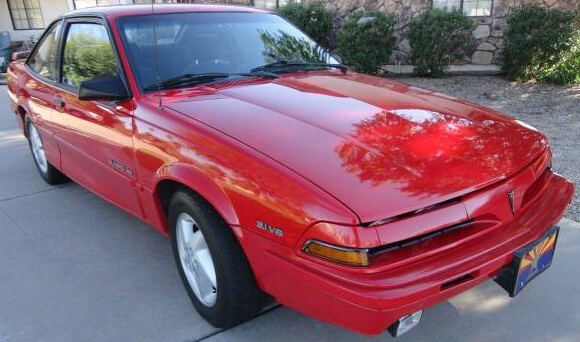 When I was in high school, one of my best friends owned a Pontiac Sunbird Turbo. It was such a cool car, especially to a high-schooler who didn’t know what a boost gauge was. 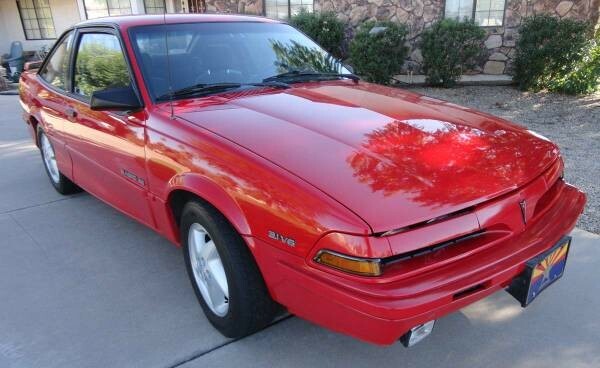 This Sunbird SE V6 (naturally aspirated) found here on craigslist in Arizona has only 39,000 original miles and brings back lots of fond memories. With the automatic transmission and leisurely acceleration (not to mention dirt-cheap parts), a Sunbird might make an excellent candidate for a high school student’s first car if they don’t have a long commute (V6s are thirsty!). It’s just old enough that it’s funky but not so far gone that it becomes a nightmare to keep on the road. For $4,350, though, that is top-of-the-market pricing. Thanks to Credit Card Classics reader Rohns for the find. If I found a ’93 or newer Bonneville SSE or SSEi this nice for this money, I’d buy it today! I agree Alan, except I would be interested in a Grand Prix GTP or the Supercharged Buick Regal GS, which I owned a 1998 Model with the 3.8 Supercharged, it was very reliable and pretty darn fast also! I would be interested in a SSE or SSEi as a second choice. All were great cars for what they are! Alan, I’ve always dug those as well. Also the last hurrah of the Grand Prix – the GTP I think it was called? Had wider tires in the front. Tough thing about the V8 cars is that they suffered from the same malady as the other GM Northstar cars: headgasket problems, requiring top-end rebuilds and ARP studs. I think I’ll hold out for a G8 GT. I feel like the G8 Gt is a car you could buy today and profit nicely when you sell it in 5 years. Such an underappreciated vehicle. I agree Jeff, I think the G8 would be a great car to invest in now, they’re the same car as the Chevrolet SS, and a whole lot cheaper to buy! And in my opinion, a better looking car than the Chevy. I really don’t get why they’re so under appreciated.